Sambane Bush Lodge is located inside the Dinokeng Game Reserve, only a thirty minute drive, North from Pretoria. The area has a wide variety of bird life. More than 20 species of animals, ranging from the BIG 5, smaller mammals, variety of other African antelope and various water animals such as hippos and crocodiles roam this malaria free reserve. Various fish species, as well as a comprehensive range of flora is also in abundance in Dinokeng. For National and International visitors Sambane is less than 1 hour from OR Tambo International and Lanseria Airports. The Lodge is named after the Aardvark, a nocturnal animal. 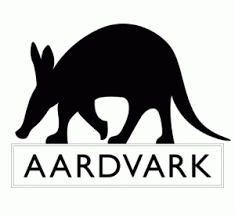 Aardvark was the first animal the owner, Ephraim Vermaak, saw on the farm after purchasing the property in 1997. Sambane offers guided game drives in an open game viewing vehicle with an experienced nature guide who will share interesting facts about wildlife and the environment.